This electronically delivered self-instructional program is designated for 1.75 hours of CE credit by Farran Media. Important concepts and suggestions for CBCT Interpretation are discussed in this CE course. The most common findings in the oral cavity, nasal fossa and paranasal sinuses are all shown and explained as well as anatomical variations. Background concepts introduced include rules of thumb for CBCT interpretation, review of anatomical planes, meaning of different shades of gray, and comparison to two-dimensional panoramic imaging are discussed. Cases of various common findings and anatomy in the oral cavity and paranasal sinuses are demonstrated. Concepts include artifact identification, how to distinguish a lesion arising in the sinus from one arising from bone or periapical region, identifying anatomical structures. Many different examples of the most common incidental findings in the paranasal sinuses and nasal fossae are shown. How to identify when a referral is needed for sinus or nasal fossa evaluation is also discussed. Dr. Mecham is a board certified Oral and Maxillofacial Radiologist and a Clinical Assistant Professor and Director of Oral and Maxillofacial Radiology at his dental school alma mater, Boston University Goldman School of Dental Medicine. He runs an oral radiology consulting private practice, interpreting CBCT and other dental imaging for dentists throughout the country. 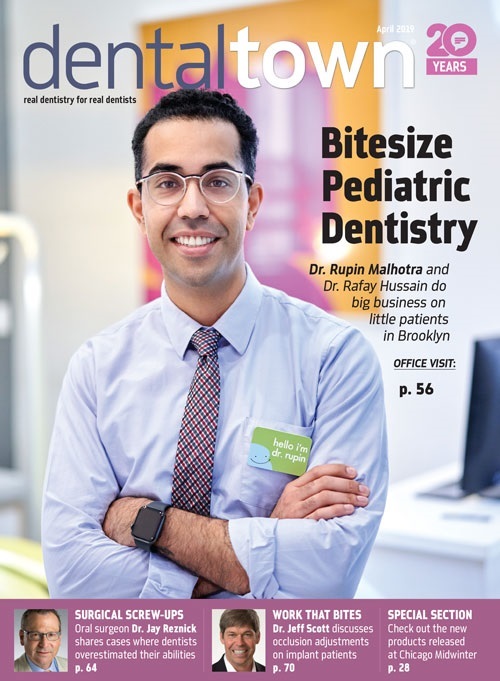 He has developed a passion for educating the dental community in Oral and Maxillofacial Radiology, particularly CBCT interpretation. Understand and practice good rules of thumb for interpreting CBCT volumes. Identify different anatomical planes and what different shades in a CBCT mean. Identify normal anatomy, anatomical variants, and most common findings in the oral cavity. Identify normal anatomy, anatomical variants, and most common findings in the nasal fossa. Identify normal anatomy, anatomical variants, and most common findings in the paranasal sinuses. In the past 12 months, the lecturer/speaker declares that they he has had a financial interest, arrangement or affiliation within the field of dentistry or health care with the following: Boston University Goldman School of Dental Medicine, Western Colorado Dental Society, Utah Dental Hygienist Association. 7 people would recommend this course to a friend. I enjoyed the course and found it very helpful. Great introduction to CBCT. We are about to begin our journey with CBCT and finding this well organized, part I, overview using excellent examples couldn't not have been more perfect. This was a very good intro course. Well put together and easy to understand. Excellent overview of oral cavity and sinuses! Great overview of the oral cavity and sinuses relating to our field of dentistry. Highly recommend this short to the point course! This activity meets the educational criteria required for verifiable Continuing Professional Development under the General Dental Council Lifelong Learning scheme and represents 1.75 hours of verifiable CPD.